Details: Hypo-allergenic: We never use the foods commonly known to cause food intolerances: pork, beef, eggs, dairy, soya and wheat products. Exclusion diet: Our formulas use a single source meat protein. For example a duck based food uses only duck meat, duck gravy and duck fat. 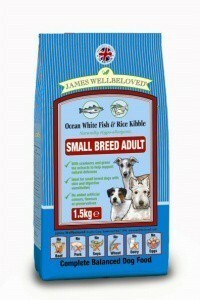 Complete food: Our complete food contains all the nutrients your pet needs, with the right levels of vitamins and minerals and the appropriate herbal supplements.